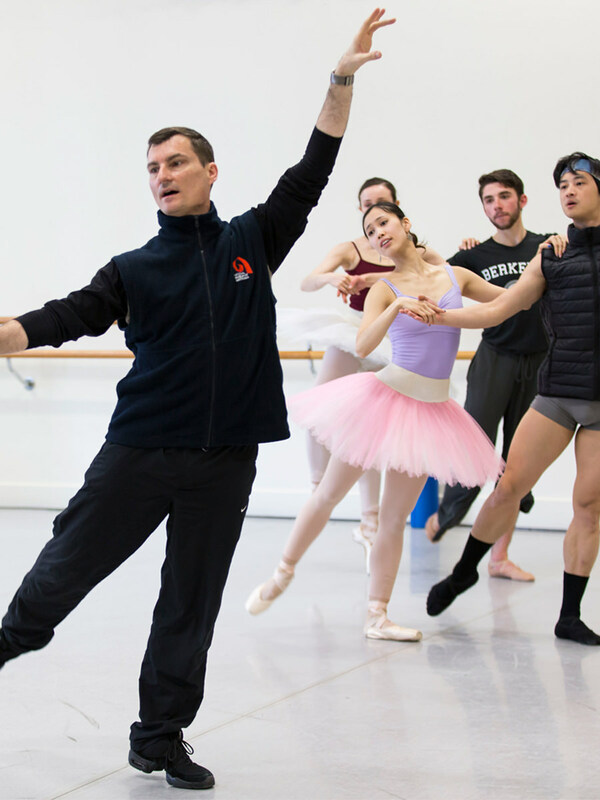 Born in Perth, David McAllister joined The Australian Ballet in 1983 and was promoted to principal artist in 1989. During his time with the company, he danced many principal roles, including those in The Sleeping Beauty, Don Quixote, Coppélia, Manon, La Sylphide, John Cranko's Onegin and Romeo and Juliet, and Jiří Kylián's Stepping Stones; in 1985 he won Bronze at the Fifth International Ballet Competition in Moscow. Throughout his career, David made numerous guest appearances worldwide, dancing with Bolshoi Ballet, the Kirov Ballet, the Georgian State Ballet, The National Ballet of Canada, Birmingham Royal Ballet, Singapore Dance Theatre and, in 1992, as part of a Royal Gala performance in London in the presence of the Princess of Wales. In 2000, he completed a Graduate Diploma in Arts and Entertainment Management and in 2001, took his final bow as a dancer. In July of that year, David became Artistic Director of The Australian Ballet. He was awarded a Member of the Order of Australia in the 2004 Australia Day Honours List. In 2015, David premiered a new production of The Sleeping Beauty for The Australian Ballet. How do you sum up three decades dedicated to ballet? In 2013 we celebrated Artistic Director David McAllister's 30-year anniversary with The Australian Ballet and his journey from an exuberant young dancer to leader of the nation's flagship dance company. Along the way he was lauded by both audiences and critics in Australia and internationally for his dancing; formed incredible partnerships with extraordinary ballerinas such as Elizabeth Toohey, Miranda Coney and Fiona Tonkin; and has steered the company to acclaim on the world stage.